42, of Thonton, W.Va., died Sept. 3 of wounds sustained from small arms fire following an insider attack in Logar province, Afghanistan. The incident is under investigation. 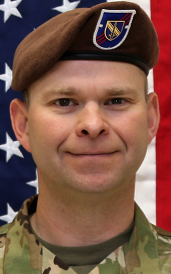 Bolyard was deployed with 3rd Squadron, 1st Security Force Assistance Brigade at Fort Benning, Georgia.